TheAtlantic feature article: Olympian "Tommy Smith 50 years later"
Cal's Harry Edwards contributes as well. Tommie Smith was once among the fastest men on Earth. During his sprinting career, he held 13 world records (11 of them simultaneously). He set the most famous of these on October 16, 1968, when his 19.83-second 200-meter dash at the Mexico City Olympics earned him a gold medal. His countryman and college teammate John Carlos won the bronze. When the two Americans mounted the podium to receive their medals, "The Star-Spangled Banner" blaring over the stadium speakers, each bowed his head and raised a black-gloved fist, Smith's right, Carlos's left. Around the stadium, jaws dropped and cameras flashed. 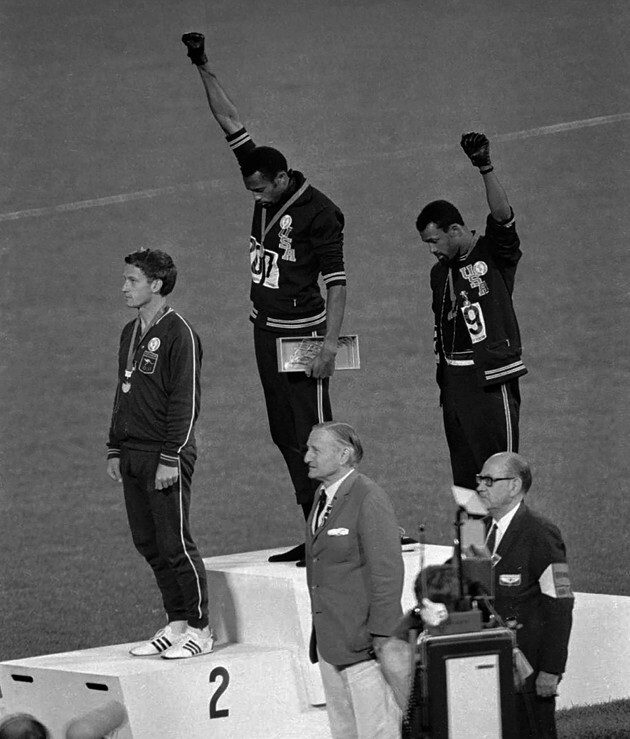 Their protest, which was interpreted by many viewers as a Black Power salute, remains one of the most iconic images in the history of sports. The protest was meticulously thought out: The men wore scarves to symbolize lynching; black socks and no shoes to symbolize poverty; and gloves, Smith has said, to represent "freedom and power; equality." 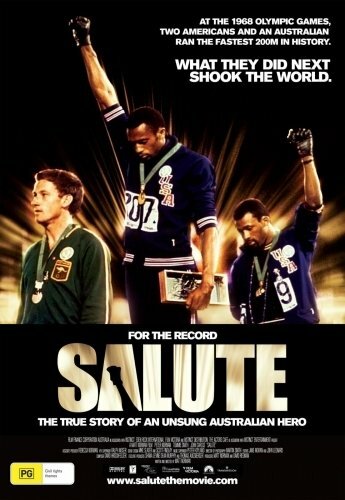 They also had on Olympic Project for Human Rights pins, as did the silver medalist, a white Australian named Peter Norman, in solidarity..
Catch the 2008 documentary "Salute" for the rest of the story..
and more, a 6min rememberance of Norman, dead of a heart attack in 2006..